Ribbed V-neck with tipping detail. Long sleeves with ribbed cuffs. Lightweight fabric with a silky feel. Sweat-wicking Climalite fabric. 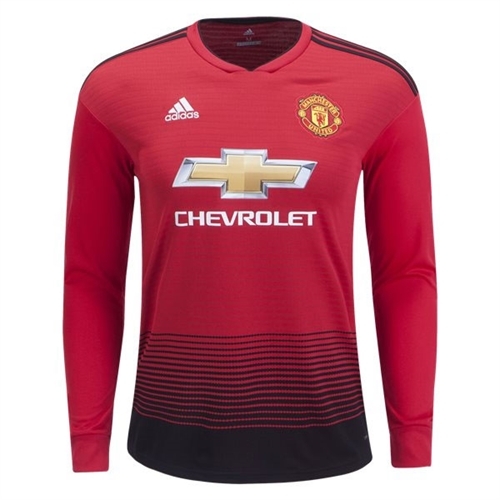 Our adidas Manchester United Long Sleeve Home Jersey 2018-2019 is a fusion of classic design and modern performance. Celebrating the club's 140th anniversary, it features a bold design that draws on its railway roots for inspiration. 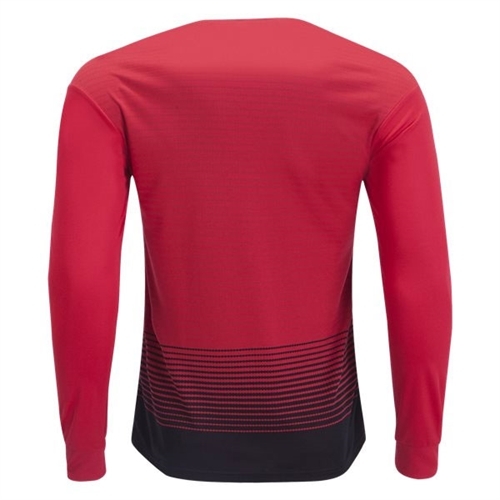 Its ventilated Climalite® design channels heat away from your body to keep you cool as you outplay and outpace your opponents just like the Red Devils do on their home pitch.